Auchentoshan has announced its search to find fresh creative talent from behind the bar who can demonstrate they challenge the norms and do things differently to become part of the New Malt Order. Each year, the New Malt Order will unite 12 bartenders from cities around the world to collectively create a new limited edition Auchentoshan expression. Working together, The New Malt Order will design both a new liquid and new packaging for distribution in the on-trade in 2017. By bartenders, for bartenders. Championing their individuality, the expression created by the New Malt Order will include unique cask selections that reflect each bartender’s character and the experiences that have shaped their identity. The limited release will showcase the New Malt Order’s collective personality in both its tasting profile and product design, encapsulating the essence of what makes them different. The New Malt Order competition marks the launch of the brand’s ‘Distilled Different’ campaign, which celebrates Auchentoshan’s unique status as the only triple distilled single malt whisky – highly accessible and mixable – as well as its unique character, being Glasgow’s only single malt. Auchentoshan has set its sights on inventive bartenders from five countries around the world to handpick 240 exceptional entrants from vibrant, urban bars who encompass the spirit of Distilled Different and strive to break the mold. Where once Auchentoshan Switch gave bartenders the chance to get behind iconic bars and be mentored by leading mixologists around the world, the competition has evolved to recognize and reward dynamic spirits explorers who push the boundaries of cocktail ingenuity with an opportunity to create a new liquid. The international bartending community will be tasked with putting their fearless expertise to the test through the creation of their own unique Bitters using Auchentoshan New Make spirit. Every last drop of New Make is triple distilled, making it more open to embracing flavour than conventional Scottish single malts, whether that is the variety of barrels it matures in or the roots, herbs, spices and other flavors it’s combined with. Using a customised New Malt Order Bitters Kit, each bartender will create a new Bitters that will be used to showcase their own personal take on the brand’s signature Auchentoshan & Ale serve. Inspired by the Scottish classic, the ‘hauf an’ a hauf’ – a dram and an ale chaser – Auchentoshan’s sweet aromas pair perfectly with the invigorating crispness of chilled beer. Auchentoshan & Ale raises the benchmark with an ice cold serve that you can do differently by adding ale, pilsner or stout. The signature serve marries Auchentoshan American Oak with citrus pale ale, the triple distilled liquid adds a delicate, smooth taste with sweet aromas of vanilla and coconut, pairing perfectly. Judged by the best in the business, the inaugural 12 members of the New Malt Order will be flown to the home of Auchentoshan in Glasgow, Scotland, to join Master Blender Rachel Barrie for a five-day masterclass and immersion into the city’s effervescent, creative culture. 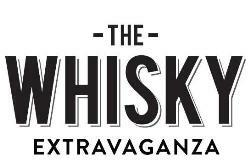 After visiting some of Glasgow’s most inspirational and pioneering businesses to meet the entrepreneurial owners shaking up their industries, each bartender will be guided through a unique experimental blending of Auchentoshan maturing whiskies to make their mark on the limited edition single malt.